Archive for the ‘DOSBox’ Category. 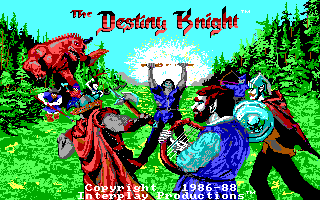 I don’t know if many of you remember my post on old DOS games and how easy it is to play them using DOSBox. 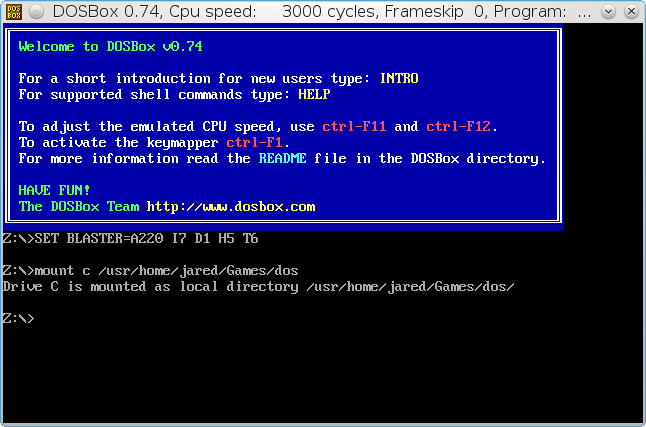 Well, it may not surprise you that you can easily install DOSBox on FreeBSD. And yes, on FreeBSD you can play all your favorite old DOS games. Of course, I assume you have a FreeBSD desktop. Create a folder, probably in your home directory but it can be where ever you want, to store your DOS games. Add the following line to the end of the config under the [autoexec] section. Note: Make sure you have hte trailing slash ‘/’ as the path you mount to must end in a slash. DOSBox installs to /usr/local/bin/dosbox which is in $PATH so you can run DOSBox at anytime by simply typing in dosbox in a shell. However, you can create an entry for it in KDE’s menu if you want. Now before you go on, type in intro and read each page as you will get lots of important information about how to use DOSBox in the intro. As mentioned in my previous post about DOS games, you can go here to this cleverly named site to download a lot of DOS games. It is just like DOS. Change to the directory where your game is and run the games exe file. And your game is launched. Have fun. It would takes years to play all the old DOS games at Abandonia.